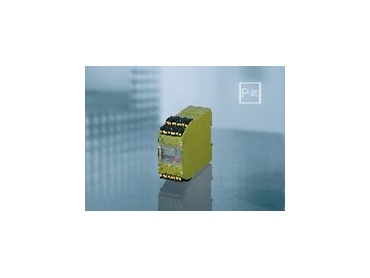 The new generation of PMDsigma electronic monitoring relays from Pilz Australia monitors values such as voltage, current, temperature or phase sequence. A new feature on PMDsigma electronic monitoring relay is the ability to set values simply through a rotary knob and then save them on to a chip card. That way data remains flexible and can be copied over to other units. A plain text display supports parameter setting while also providing user-friendly diagnostics. The first unit in the PMDsigma product range monitors true power. This provides an early warning system for hazardous plant conditions, with no requirement for additional sensors. The compact unit PMD s10 electronic monitoring relay provides an indication of the motor load through the true power. It monitors the thresholds, while at the same time providing an analogue voltage or current value which is proportional to the true power. This means that both the overload and underload thresholds can be monitored through an analogue signal (PLC) or through the integrated relay. Motors with a rating of up to 11 KW can be monitored directly; larger motors can be monitored through current transformers. Motor voltages of up to 550V are possible. The PMD s10 electronic monitoring relay can process frequencies from 0Hz up to 1000Hz. It is therefore flexible and is suitable for both DC and AC motors as well as frequency-controlled drives. Motor start-up and transient power fluctuations can be suppressed, so that high inrush currents do not affect the unit. Peak values during operation can be stored and called up through the display. While the operation is running the unit can display up-to-date values such as current power consumption. An integrated operating hours and cycle counter enables preventive maintenance, which reduces repair and downtimes. With the PMD s10 electronic monitoring relay, users can implement an early warning system for hazardous plant conditions, without the need for additional sensors. Filter plugging or wear and tear on mechanical components such as bearings can be identified before they lead to failure. So expensive mechanical damage, downtimes and hazards to personnel can all be avoided. There are various application examples for true power monitoring with PMDsigma: controlling the brush pressure on car washes, monitoring tools and conveyors for wear and tear, monitoring conveyors for blockages, as well as inspecting sieves and fans for contamination.